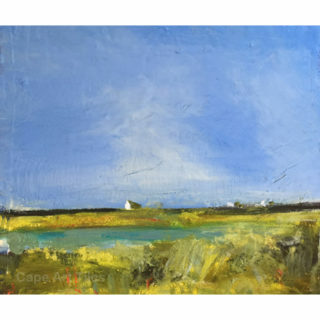 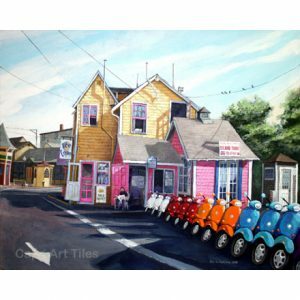 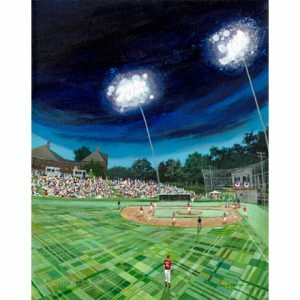 Hans grew up on Cape Cod in Brewster and received his degree in Art from The Pratt Institute in NYC. 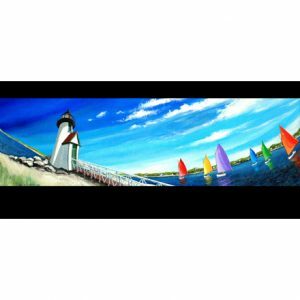 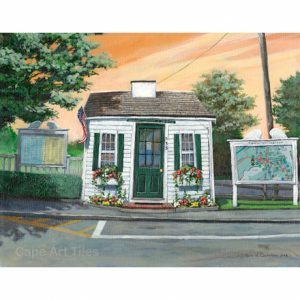 He began his career as a mural painter, now having done over 150 across the country, several of which can be found on the Cape and Islands. 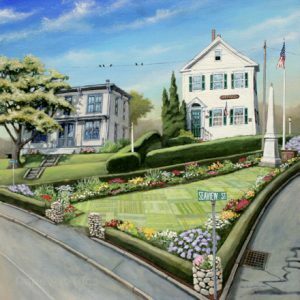 Hans used to have his own gallery in Brooklyn, NYC but has returned to life on Cape and has his own Gallery and Studio on Main Street in Dennisport. 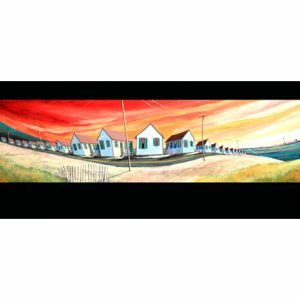 He teaches mural painting in public schools, teaches private paint lessons at his Gallery/studio location, and works on his own paintings. 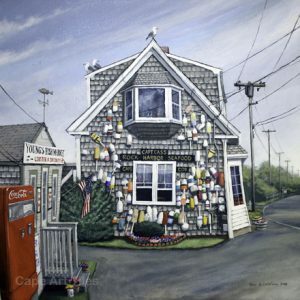 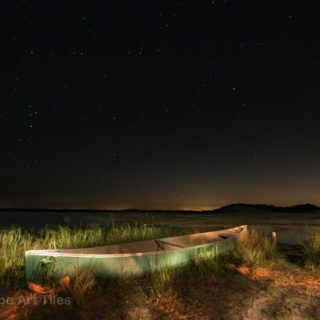 Hans’ has established a reputation for his colorful, stylized images of some of his favorite Outer Cape landmarks, from Chatham to Provincetown. 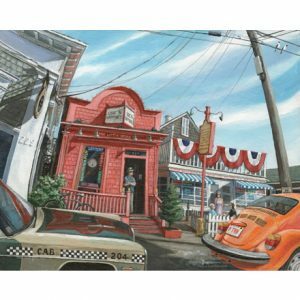 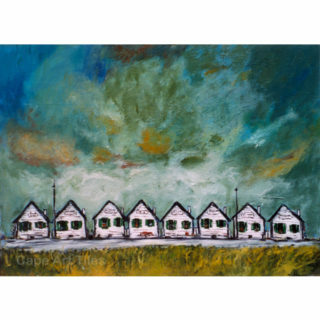 In these there is an emphasis on architecture and light, much like Edward Hopper, who did much of his work on the Cape. 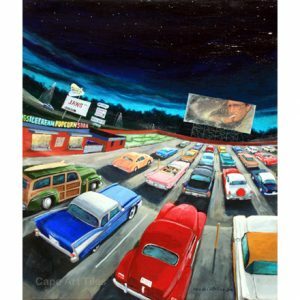 His style and technique give these unique paintings a youthful energy, using heavy amounts of paint at times to build a texture and occasionally decoupaging hidden elements into the work.. Hans most popular images are now available as limited edition, signed Giclee Prints as well as on Ceramic Tiles. 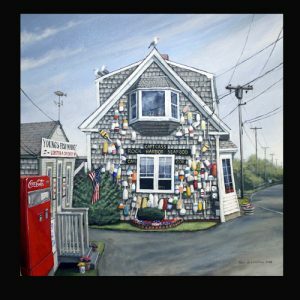 Locally, Hans’ work is currently being shown at the deCastellane Gallery on Main Street in Dennisport. 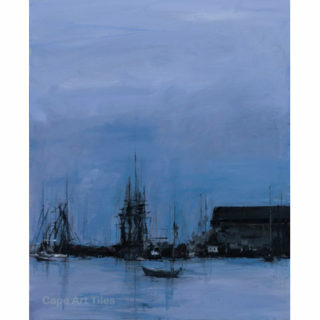 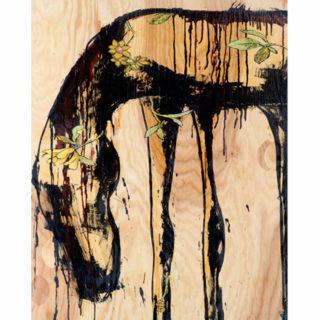 Browse the Cape Art Tile products featuring Hans’ work here.